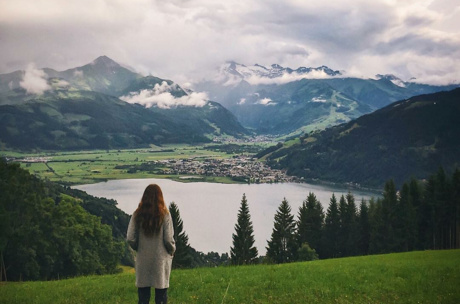 Nine Instagrammers on an exciting weekend trip in the Zell am See-Kaprun region. What does a true Instagrammer need for posting really good stories and impressions? Action, adventure, relaxation and a region that embodies all that like no other. 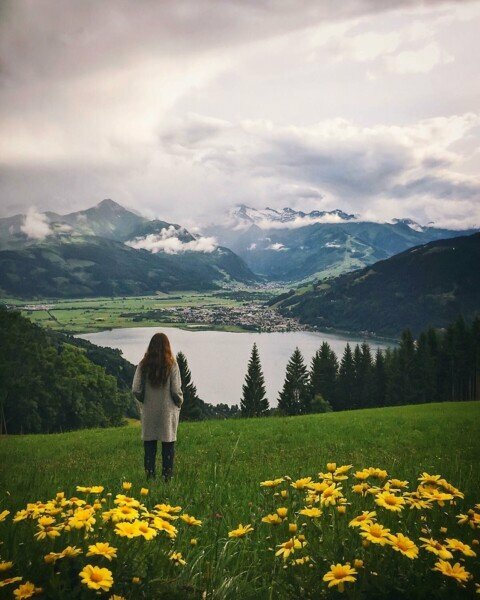 Zell am See-Kaprun, the many locations, beautiful nature and an abundance of experiences that are waiting here are the perfect setting for action-hungry and top linked-up Instagrammer. 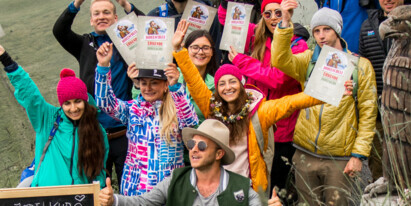 This is why we invited nine Instagrammers to a unique outdoor weekend in the Zell am See-Kaprun region. Clear the stage for #MyInstaWeekend" 2017. The travel bloggers, Johannes Hulsch (@bokehm0n) and Sylvia Matzkowiak (@goldie_berlin) as well as the lifestyle bloggers Irina and Raresh Peicu (@irinahp, @me_and_mango) uad Emilia Schöller (@_pommegranate), all brought thei cameras for an exciting weekend. Also part of the action were the instagrammers Sarah Pour (@sarahpour), Sebastian Scheichl (@zeppaio), Marc Bächtold (@marcbaechtold) and Dominik Wartbichler (@dominikwartbichler). 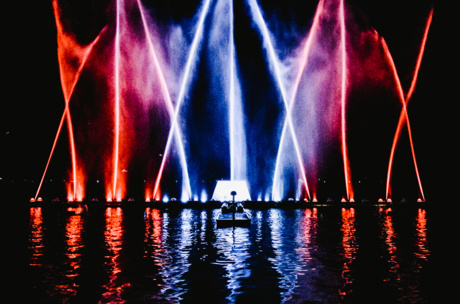 They could experience what our region has to offer during an action-packed weekend. A summit tour to the Kitzsteinhorn, a helicopter flight and a yodel course at the regional yodel school were just some of the highlights. Our guests stayed at the Four Star Superior Resort TAUERN SPA Zell am See - Kaprun where they could relax in the 20.000 m2 aqua world after eventful days. "Meet and Greet" – after welcoming our guests, we wasted no time and went off straightaway to introduce our region with a few impressions along the beautiful lake promenade on trikes before we continued to the most amazing photo scenes in the old town of Zell am See. First impressions were discussed during joint dinner, and everyone agreed: "these will be some unforgettable days in the Zell am See-Kaprun region!" "My first 3,000 metres high mountain" was the motto for our Instagrammers on day 2. The atmosphere during breakfast at the Tauern SPA was excellent but you could sense some nervousness. 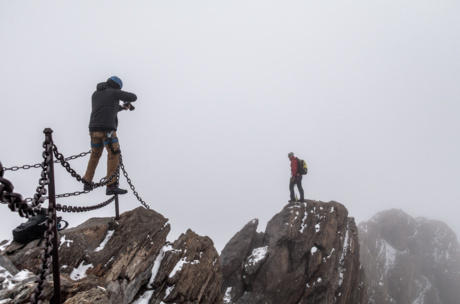 Not all Instagrammers have had many alpine experiences. 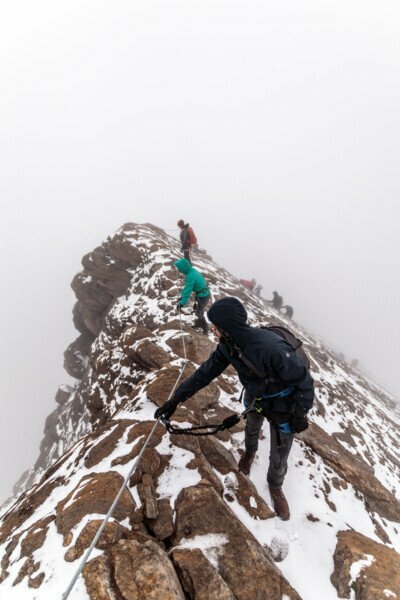 Surefootedness and a head for heights are required if - starting from the upper terminus - you want to conquer the summit of the Kitzsteinhorn. 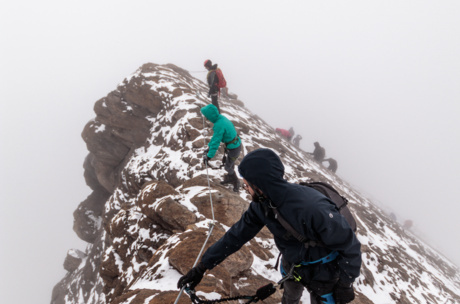 Just a few introductory words from our experienced regional mountain guides, and off we go towards the sky. That this was really their first 3,000 metres high mountain was reflected in the busy activities of the news feeds. Time to take pictures and for posting must be planned in when out and about with true Instagrammers. More impressions and cool stories provided the guided tour through the Gipfelwelt 3.000 afterwards. And everyone agreed again: "Time for a tasty lunch" – not just anywhere but in Salzburg’s highest-situated restaurant. 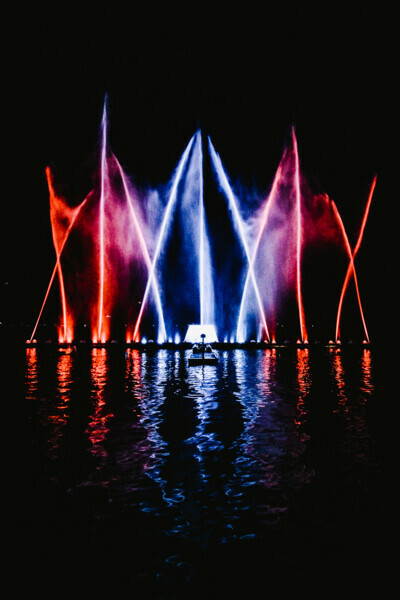 Back in the valley and with our feet on solid ground again, we went to see the water, light, music & laser show of the Magic lake show event. You could see our guests constantly glancing uphill to the illuminated summit station at the Kitzsteinhorn. "We were up there today - crazy." A worthy end to an exciting day in the Hohe Tauern! The excitement continued on day 3. The morning started just as active as the day before. There was time to leisurely prepare for another day in Zell am See-Kaprun during a llama trekking tour. The cameras, lenses and camcorders got busy again in the Sigmund Thun Gorge from where the tour continued in direction Klammsee reservoir. The Sigmund Thun Gorge has been formed by the Kaprun Ache river which has been forcing its way through the rocks for thousands of years – our guests didn’t have to wait for great photo scenes. The afternoon was again all about adrenalin and alpine challenges. Have you heard about the highest-situated via ferrata on a dam wall? This challenge is also located in the Zell am See-Kaprun region and our Instagrammers bravely faced and managed this task. There was time to calm down a bit on the hiking tour to the Fürthermoar Alm afterwards. Being greeted by "Schaf Toni" on his farm, some of us started to feel hungry. Just as well Toni had already placed a huge pan of Kasnocken over the fire - hunger is not a good companion for good Instagram stories! "The early bird catches the worm" – at least when you are in Zell am See-Kaprun and you want to fill your Instagram feed with good pictures and stories. A flight on board a helicopter seems to be perfect for this, and our guests were gobsmacked when they were flying with mysnapair between Hohe Tauern, Lake Zell and the Steinberge Mountain in a helicopter with dismounted doors. There are surely worse photo scenes for passionate photographers. Then it was time to show off everyone’s vocal talent during the yodel course at the Pinzgau Yodel School. Yodelling seems easier than it is. Afterwards, it was time to give the vocal chords some rest and treat the palate as a tasty lunch was waiting at the Steinerwirt in Zell am See. There was no programme in the afternoon on day 4. Instead, our Instagrammers used the time to explore the region on their own. Surely, some could be seen still practicing the perfect yodel. A big highlight was waiting for our guests at the Tauern SPA in the evening – a gala dinner followed by moonlight swimming in the Skyline Pool. What a wonderful experience to end the day!